The more we learn about inflammation in the body, the more we realize that it is a root cause of many health issues. Inflammation has been linked not only to physical ailments, but to psychological and emotional ones as well. 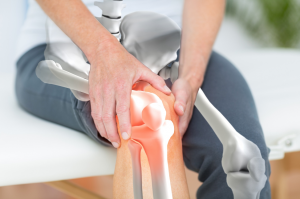 The Chicago Osteopathic Physician and staff at the Feely Center at Optimal Health have vast experience in providing treatments for patients struggling with inflammation. Our combination of physical and nutritional solutions for inflammation are designed to improve the quality of your life. Having a thorough understanding of inflammation is vital to the upkeep of your body. The more you know about inflammation, the more you can work to combat it. Looking to learn a little more about the condition? This is the article for you. Inflammation is a condition that occurs when a person’s body is fighting against potentially harmful intruders. More specifically, the body’s white blood cells fight against infection by fending off bacteria and viruses. While inflammation is a necessary part of the body’s response to infection, it can also be a detriment to the body. This is particularly true when it becomes a chronic condition. The most obvious symptom of inflammation — and usually the first one you’ll detect — is pain. The pain associated with inflammation can accurately be described as a pinching or stinging feeling. Pain may arise when swelling causes pressure on the nerve endings. Generally, the more extreme the inflammation is, the more intense the pain will be. In most cases, you’ll feel this pain in your joints. Another common symptom of inflammation is redness. Redness occurs due to an increase in blood flow. The more inflammation that is present, the redder the affected area will appear. In almost all cases, inflammation will be accompanied by swelling. Swelling occurs due to an increase in fluid around the affected area. Again, the more inflammation that is present, the more swelling will occur. In some cases, inflammation will actually cause your body to feel hot to the touch. If you touch an area of your body that is in pain, and if that area of your body feels warm, it is more than likely inflamed. There are a variety of diseases that are accompanied by chronic inflammation. Some of the more well-known diseases will be highlighted below. Asthma occurs when the body’s air passages become inflamed. When these passages suffer inflammation, they close up, making it difficult for the affected individual to breathe. Crohn’s Disease is a condition in which the digestive tract becomes inflamed. Most typically, inflammation occurs in the small intestine or colon. A debilitating disease, it is often accompanied by nausea, bloating, constipation, and flatulence. Ulcers are painful sores that show up on several parts of the body. These sores are often caused by inflammation, and are usually brought on by the existence of bacteria. Generally, if you can relieve the inflammation in your body, you can get rid of your ulcers. While it has not been definitively proven, there is a great deal of evidence to suggest that chronic inflammation is linked to heart disease. Medical researchers believe that chronic inflammation is at the root of stroke, heart attack, and arterial disease, in particular. Arthritis is quite literally the inflammation of the joints. This is a chronic condition that typically increases in severity as a person ages. Do you suffer for chronic inflammation? Interested in utilizing inflammation treatments and medicines in Chicago, Illinois? If so, you’re in the right place. The Feely Center for Optimal Health has exactly what you need. Our Osteopathic Physician and Nutritionist will evaluate your case and determine the best course of action. In addition to hands-on treatment, we offer a full suite of medicines that may be appropriate for your case.